Javier Rodriguez Puigvert, Till Krempel, and Arnulph Fuhrmann. The ability to localize a device or user precisely within a known space, would allow many use cases on the context of location-based augmented reality. We propose a localization service based on sparse visual information using ARCore , a state-of-the-art augmented reality platform for mobile devices. Our service is constituted by two components: front-end and back-end. 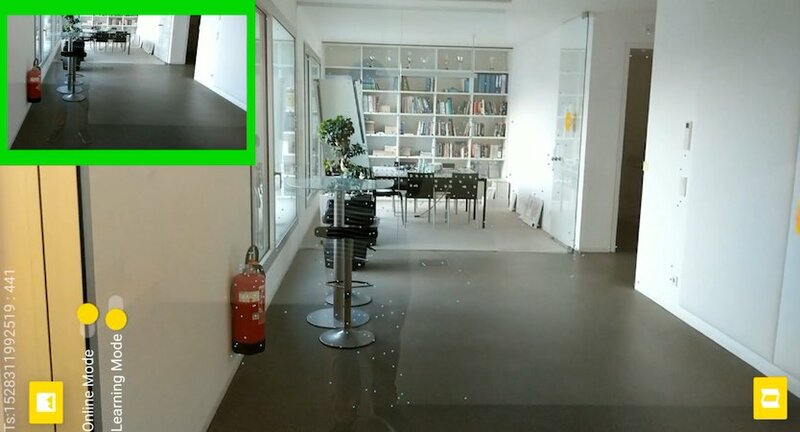 On the front-end, using the point cloud generated by ARCore as feature points, a corresponding binary keypoint descriptor algorithm like ORB  or FREAK  is computed to describe the place. On the back-end, this binary descriptor is searched in a map using the bags of binary words technique , responding with the position of the recognized place.